Ian is the new owner of the greengrocer at Chester market. 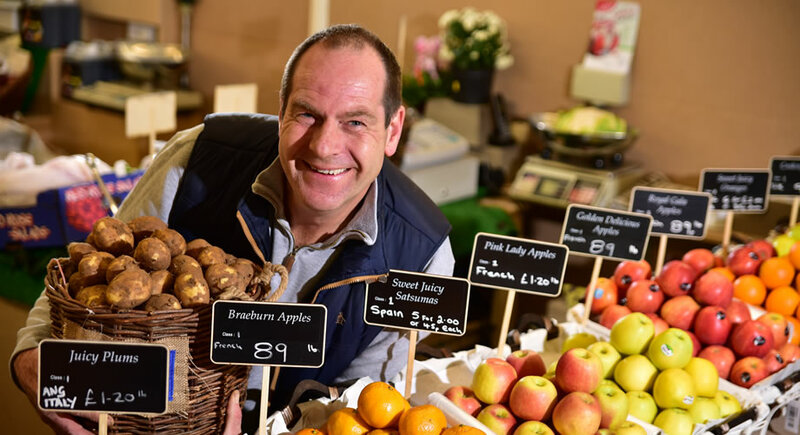 Being an experienced trader for many years working within the market it goes without saying that Ian wanted to step up to the challenge of bringing healthy options to new and existing customers. In his newly refurbished stall you will see quality and choice, all fresh and tasting of goodness and prices to match. Offering seasonal fruit and vegetables, you will be spoilt for choice on recipes. Locally sourced and freshly picked there are many offers to be had. Try out a healthy smoothie or grab a bag of your 5 a day! Local delivery you can guarantee you will get the freshest, most delicious varieties so there’s every excuse to be healthy.